Our beginner kitesurfing lessons offer the fastest and safest way to learn kitesurfing. 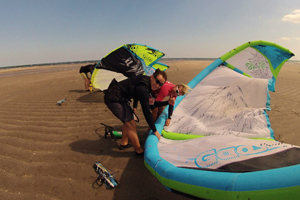 Our lessons teach you the basics of kitesurfing all the way up to the riding stage and beyond. 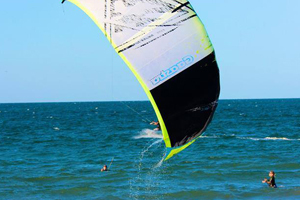 All our lessons are conducted using the lastest kitesurfing equipment. Kitesurfing does not require strength or for one to be super fit, but one must know how to swim and one must not mind the possibility of getting a face-full of water! We can teach people from the age of 12 up to 70 years old. You will learn everything you need to know in order to become a confident kiteboarder. 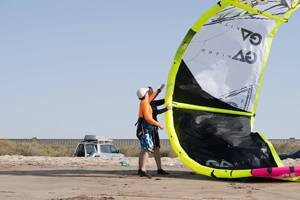 You will learn how to set up the equipment correctly and safely, how to control and fly the kite, how to body drag in the water and how to retrieve a board, how to stand up on the board and ride. We are extremely flexible with our teaching hours, so if you are working during the week, or just here on holiday, we are able to arrange lessons to fit your schedule. After signing up for lessons, every student will receive a text message with wind updates, so you will know when it is windy for lessons. Our IKO qualified instructors will be with you and guide you step by step through your course to help you gain experience and confidence while progressing safely. Kite surfing is a safe sport if conducted correctly and taught by experienced professionals. 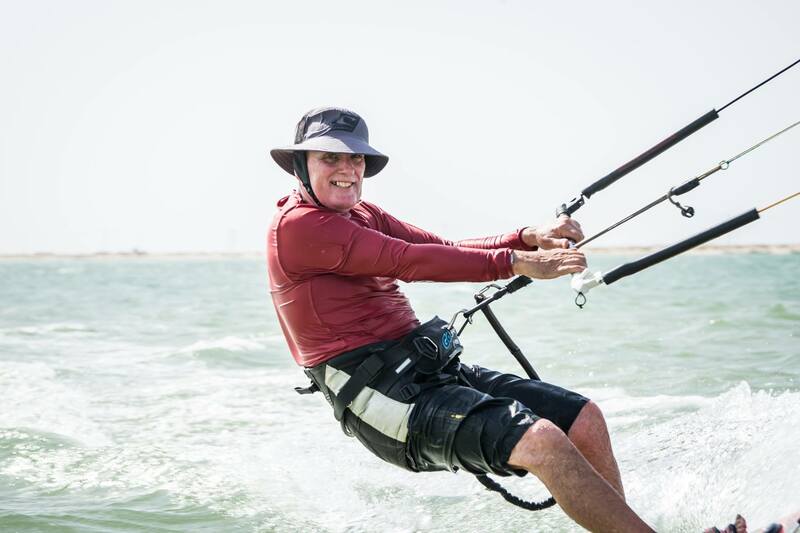 We are proud to say that all our instructors are highly experienced and qualified IKO kite surfing instructors who will insure you get the most out of your kite surfing experience because we care.